With so much sharing of photos on social media web sites and the growing popularity of video capture, printing and printers seem to have taken a back seat at this time. For the professional and dedicated amateur photographer, producing photographic quality prints is just as important as shooting with a high quality camera. The market is flooded with all-in-one or multifunctional units, and whilst these are capable of producing good quality photo prints, they are mostly A4 units and not up to exhibition or archival quality standard for the discerning photographer or collector of fine art prints. 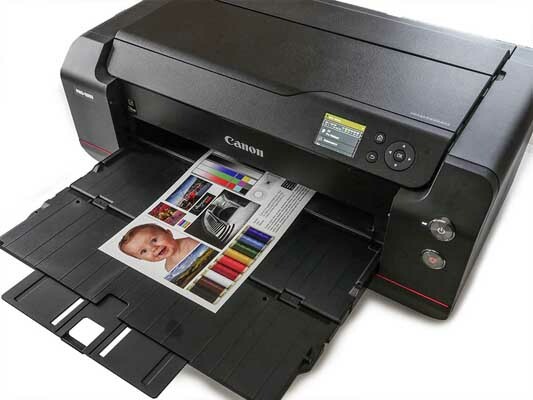 Canon have introduced the Canon imagePROGRAF PRO-1000, a dedicated single function A2 printer which uses pigment inks for greater light fastness and longevity. This printer has produced some of the most impressive photo prints we have seen for a long time, so let's take a closer look. The Canon imagePROGRAF PRO-1000 costs £999 / $1299, and an individual ink tank costs £42.49 for 80.0ml (full set is £509.88). 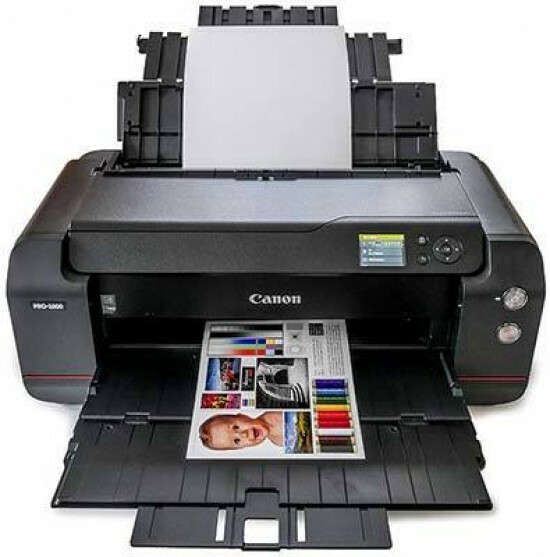 As with most Canon printers, you must install the print head. 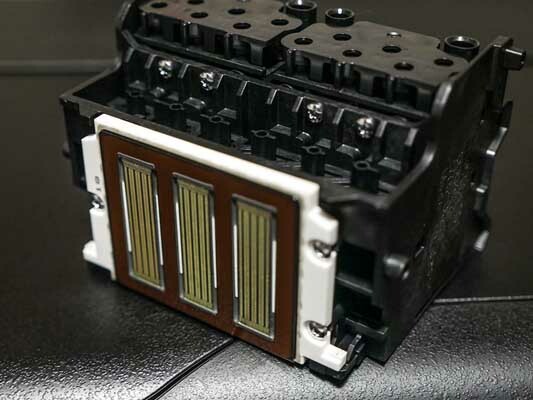 The head unit is quick and easy to fit, simply open the top cover and drop the head in, making sure you don't touch the print head nozzles. 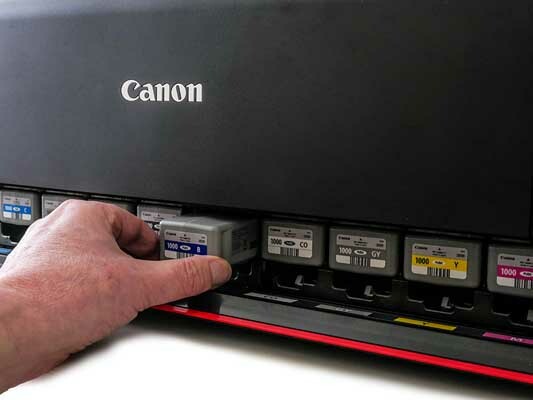 The advantage Canon printers have over Epson is that a user can easily replace the print head should any problems arise in the future. Next the 12 pigment ink tanks need to be installed, each tank has to be shaken to ensure the pigment ink particles are well circulated. Dye ink printer tanks don't need to be shaken as dye inks are water based. The 12 ink tanks include; Photo Magenta, Red, Cyan, Photo Grey, Matte Black, Photo Black, Blue, Grey, Yellow, Magenta, Photo Cyan and Chroma Optimiser. Each tank contains 80ml of ink, However, the instillation set that is supplied with this printer only contains 40ml (approx) of ink in each tank. Once fitted connect to the mains and the printer primes the print heads ready for the next stage. Next the printer performs an automatic head alignment routine, two sheets of MP 101 paper are supplied with the printer for this task. 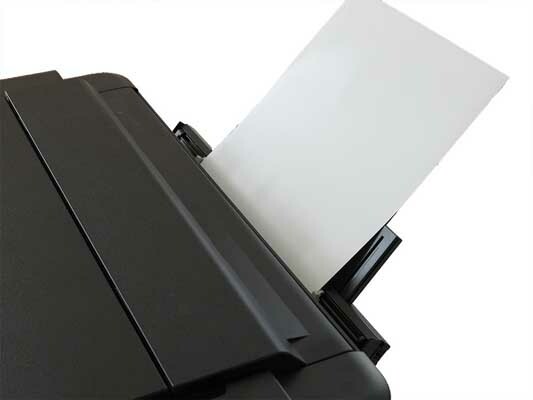 Place a single sheet in the rear feed slot and the printer will do the rest. The printer has to be on a level surface, we encountered an error message displayed on the 7.5 cm colour display as the printer was not 100% level, once the printer is level the printing starts. The entire setting up process including fitting print head and ink tanks took about 35 minutes. Finally install the printer drivers, an internet connection is required to install the latest drivers. Connection can be through Hi Speed USB 2.0 (why not USB 3.0), Wi-Fi, Wi-Fi Pictbridge or Ethernet. For this review we are using USB 2.0.